My awesome sister and her family got us tickets to a festival in Switzerland as a gift for my 30th birthday. 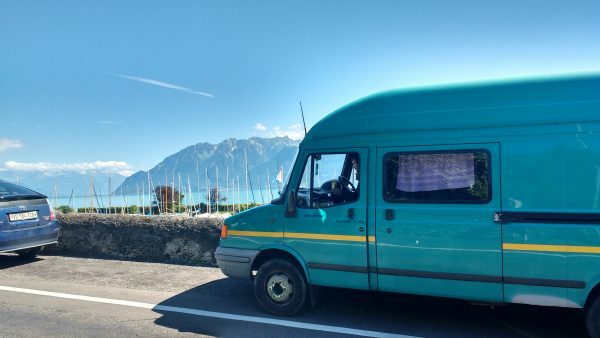 So, in actual fact, when I say we had no real plan – we did; we knew we had to be in Switzerland for this particular weekend, so we made our way to the adjoining section of France and waited it out a while (survival in Switzerland is fairly expensive). It was a pleasant surprise to stumble upon yet another street party when we finally did enter Switzerland. We had no trouble getting in; no one stopped us, we were just waved along. We parked up and drank beer with the locals while some bands played – everyone’s favourite way to spend a summer’s eve. We also got a flat tyre. It wasn’t popped, the valve was just a bit destroyed all of a sudden – as was the valve on our spare tyre, it turned out. 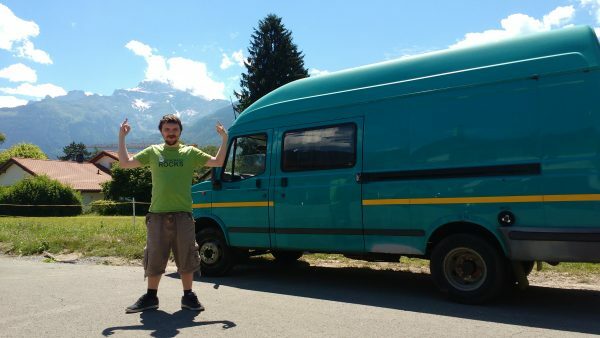 We tried to get help at a local garage, but the western side of Switzerland is French speaking, and we kind of ended up just stood around waiting for nothing. Luckily we manged it to bodge it with some celotape. I’m not even kidding – that’s still holding it together today, over two months later. Tape is life! 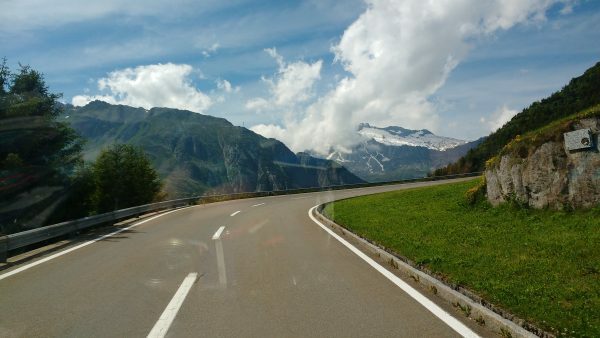 The drive through Switzerland from West to East, through the alps, through the villages, the valleys, the Valais channels – the whole trip was absolutely breathtaking. I spent most of the time torn between filming and taking photos of our surroundings, and actually just wanting to stare at it and imprint the memory and the feeling into my mind and my heart. It’s a sensational experience – an indisputable highlight of the whole trip, and I strongly recommend anyone to travel through and into those alps if you get chance. If it weren’t for the food and fuel being thrice the price in Switzerland as it is in the surrounding countries, we probably would have stayed there much longer. 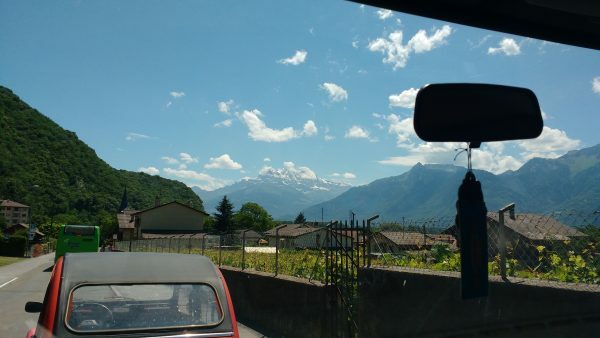 Although, on another note, the only country we were stopped in (twice) by police who wanted to see every single bit of car documentation, passports, driving license, and to know exactly where we were going and how long until we’d leave, was Switzerland. If you’re not camping, it’s not that easy to stay out of the way. But, I have to say, the police were extremely friendly with us. And the campsite we stayed at for the festival was damn luxurious – and super welcoming. 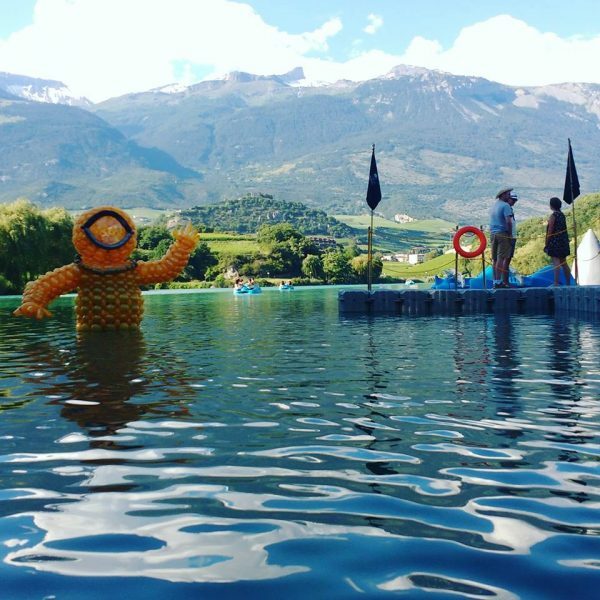 The festival – Week-end Au Bor de L’eau, at Lac De Geronde, Sierre – was amazing. The location alone was like something out of a dream. The set up was lovely, modest but effective, and damn good fun. The campsite (included with the weekend tickets) was superb – we received such a friendly welcome, and were left to our own devices the rest of the time. It had it’s own lake, separate to the fest, and what’s more the weather was pretty scorching all weekend. A good time to point out actually, once again – I’m not a fan of hot weather, and neither is Adam, particularly not when living in a van. 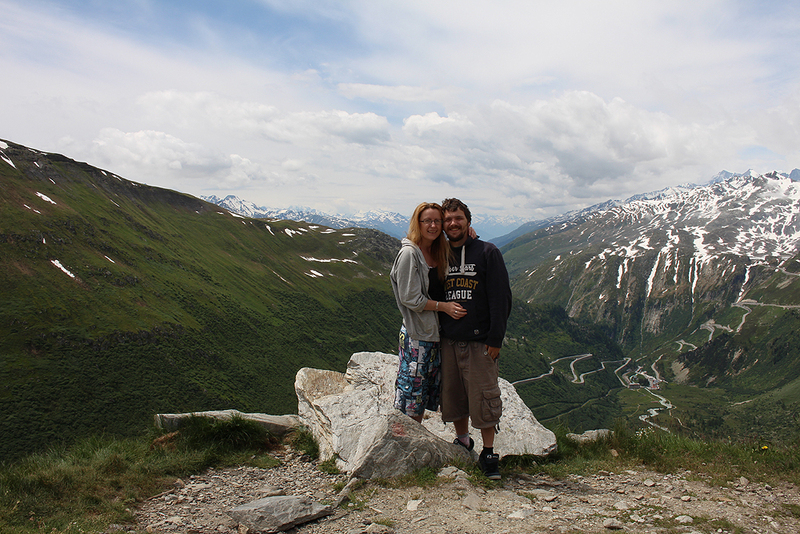 We would have traveled further South and visited Italy if the heat hadn’t been so overwhelming. My favourite weather is overcast, just so you know, and I love heavy rain – so inspiring! But, for the purpose of a festival experience, and general wanting to be outside-ness, we were very grateful for the good weather. There was a pretty sensational thunder storm on the Saturday actually, one of many, many epic storms we encountered over the summer in Europe. I love the different types of weather in different ways. I love that it’s autumn now. So much autumn. 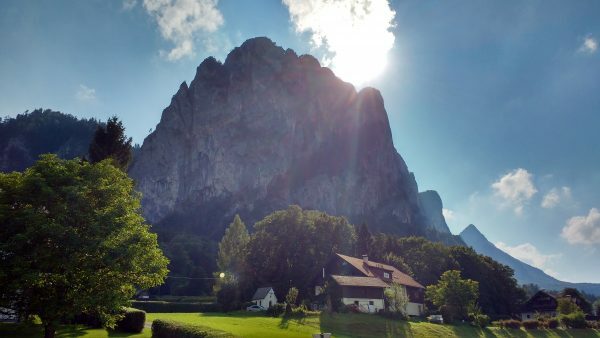 Austria is every bit as beautiful as Switzerland, but far more accommodating for the average human person. You can park for free just about anywhere in Austria, and the entire country (as far as I’m aware) speaks German, so it’s super easy (for us) to get by. One of the absolute most beautiful places we stayed in Austria was Attersee. 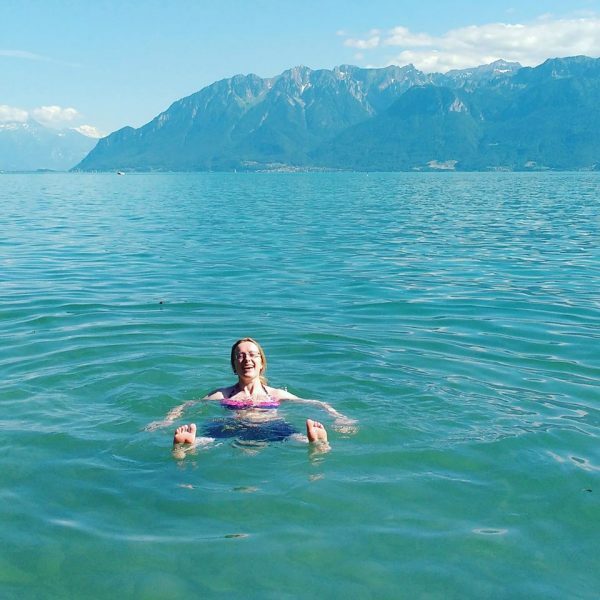 The lake at Attersee is the clearest and biggest (or one of, atleast) lake in the country, and it’s stunning – crystal clear water, as you can imagine, from that last sentence.. and surrounded by awesome hikes and rock-climbable mountains. 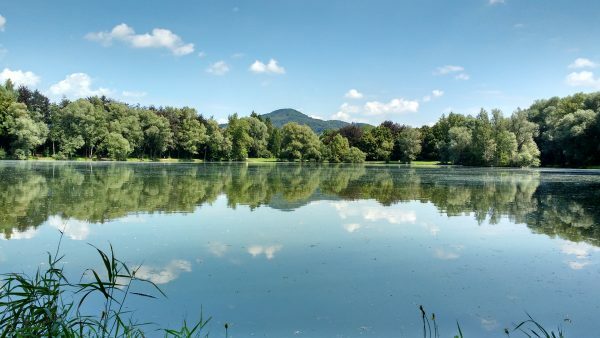 I won’t lie – we stayed at Attersee for about three weeks. This was our ‘summer holiday’ session, so to speak (though we did still do some work). Mostly I woke up and jumped in the lake. I miss it already. 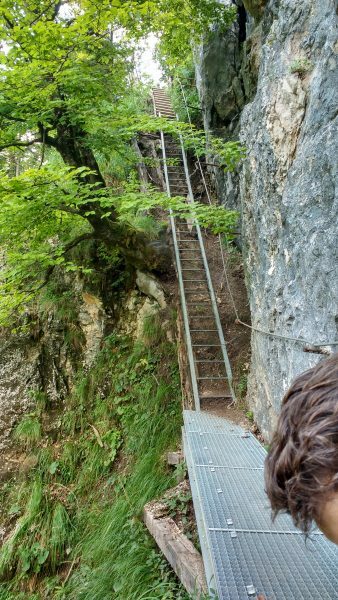 We also terrified ourselves by attempting to climb Drachenwand at Mondsee. 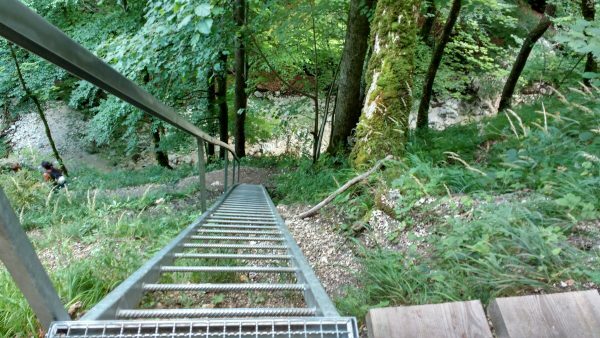 This is quite a famous climbing spot in Austria; you can Google videos of people doing their extreme things up there. We were unprepared, and it was very high, and very much a bunch of ladders stuck to the side of a cliff; some of which weren’t ladders at all but old roots from crooked trees, and everyone we saw on the route had helmets and harnesses, except for us..
We also terrified ourselves by going for a day trip on the ski lifts. These go much higher than expected. So high, in fact, that at one point we actually stopped making jokes about it and just ignored each other for a good few minutes. The pod stopped mid air between two valleys – we later worked out it was to let somebody with limited ability access their pod (you usually just have to jump in as it goes by). There’s no speaker to tell you what’s going on though, so we had no idea. We just hung there, by a hook, in silence, in a cloud, miles (not quite) above the ground. The views were pretty incredible though. Rafting with Area 47 in Austria was an awesome day. This was my 30th birthday gift from Adam. Adam’s not a fan of water, particularly not white water, so it was very brave of him to come do this with me. The guy giving the Rafting instructions spoke in German, which, it turns out, is much harder to translate when you’re nervous and it’s something important. We made it through though. This was one of the most fun things we did all summer – after rafting you get to spend the day at the water park of Area 47 which surrounds an outdoor (real) lake and has slides, blobbing, climbing walls, slacklines, a bar, music, and all kinds of wickedness. For lack of a better word – it was mint. Sadly, we have no photos of this, but there were two guys on our boat wearing go-pros, so – you can probably find our faces somewhere online. The scenery was stunning, the rafting wasn’t as extreme as we’d expected, but they do tip you out on purpose into a pretty big, pretty fast flowing river. 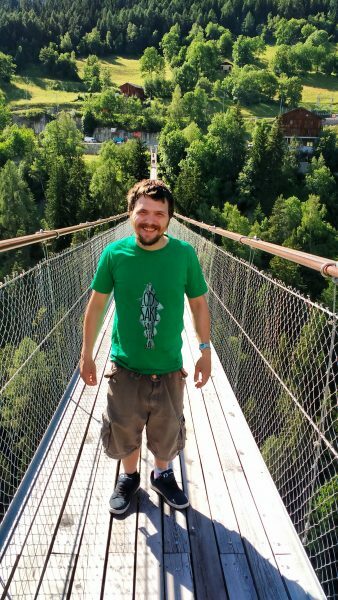 We also had a really lovely time in Salzburg, Austria – which is an incredible city, as is Vienna (I have so many pictures of these two cities..) I wrote about Salzburg over on Stereo Stickman – a feature about the buskers there. 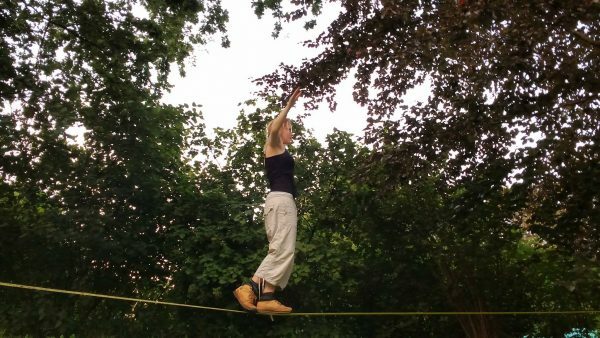 We were also lucky enough to catch the Buskers Festival in Vienna just a week or so ago, which I’ll write about pretty soon as it was fantastic. There’s been so much, I’m just going to leave some photos here for now and come back to it. 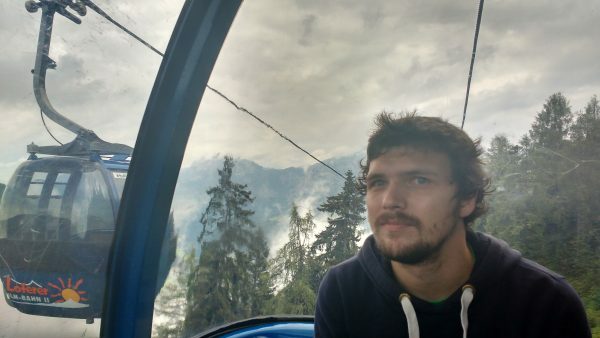 As a final note, I’d like to say how amazing Europe is and how lucky we are that we can so freely travel between these wonderful countries and meet so many different people from different walks of life.